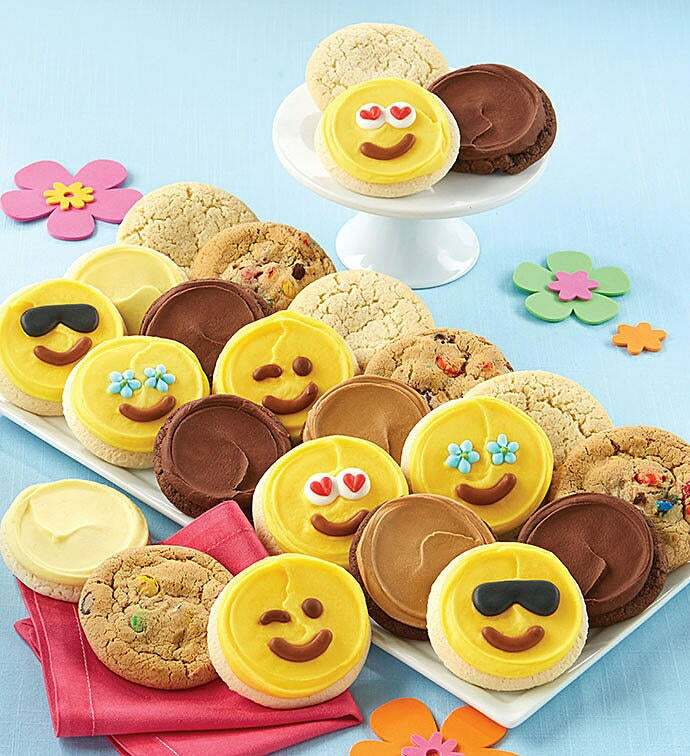 This delicious assortment features our sweet buttercream frosted emoji cut-out cookies along with triple chocolate frosted, lemon burst, celebration chocolate chip cookies and mocha latte cookies along with our emoji chocolates. Our individually wrapped treats are perfect for any occasion! 24 cookies. 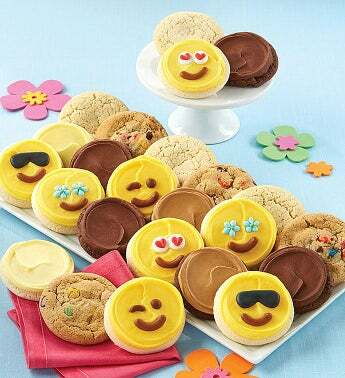 Our Buttercream Frosted Cookie Assortment is delivered in our Signature Bow Box as shown in the example below.